As builders’ merchants, it is our job to ensure that the products we supply to you are of the highest standard possible. However, it is not just the quality of our products that guarantee longevity. Maintenance and protection is vital to not only the lifespan but the appearance of your decking – it can retain its’ youthfulness throughout the whole year, especially the damp winter months. As decking is renowned for being a low maintenance alternative to block paving or grass, we wanted to put together a low maintenance upkeep regime. Much like paving slabs and fence panels, it is common for people to think that it has to be a chore to preserve, or they need tonnes of different building supplies to be able to restore it. We’re here to prove those people wrong! So, put on the kettle and your favourite song and take a look at our suggestions for keeping that decking deckadent. To begin, it is worth noting that for best end results, stripping the surface is extremely important if there are any remaining stains you would like to remove. Before any further solution is applied to your surface, you should make sure that the area has been cleaned and then prepped with an exterior wood restorer. 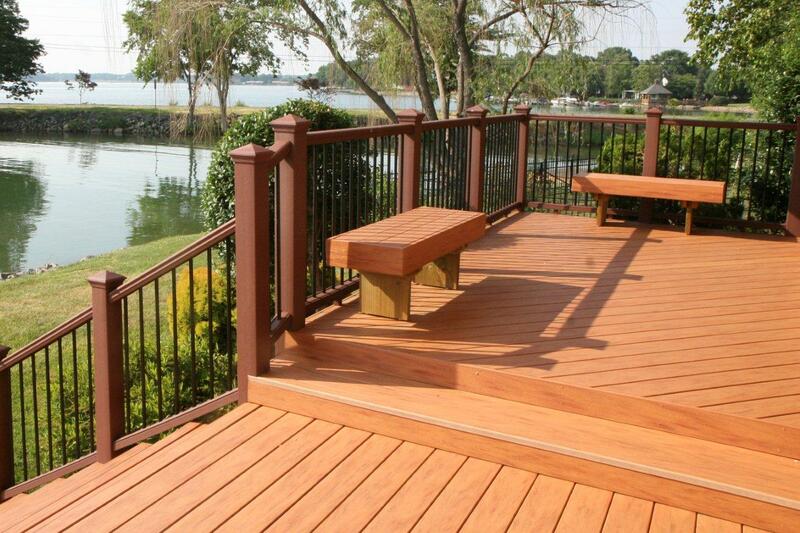 This step not only primes the decking for further applications, it improves the finished product as well. If you are unhappy with how the surface has faded and aim to bring its’ original colour back, decking restorer is a great way to do so. Protection is an easy, yet massively central part of decking care. It only needs to be completed once a year – perfect for a low maintenance solution! To add a hint of colour, decking stain can be applied all over. For a translucent approach, decking protector can be sprayed, painted or rolled onto the surface. Alternatively, decking oil restores the wood while transferring a faint tint of colour. It is widely suggested to use decking stain if you are looking to restore the appearance of the surface, or put some life back into your garden. And that’s it! We hope that our suggestions can illuminate both your knowledge on decking maintenance and your decking itself without being too strenuous. Create a fresh look for your home with our instore designers. Book free consultation. Our landscaping experts will help you plan your project. Download our landscaping brochure. Visit one of our branches to get expert product advice. Hire quality tools across the Midlands, Yorkshire and Lancashire. Hire Today.